I have returned from the Queensland Poetry Festival refreshed. Thank you to all who steered that beautiful weekend safely into port. It was so well organised! I noticed the unnoticeable, the invisible flow of event into event, only achievable if everything works like clockwork. With a Swiss movement at that. Herding a pack of poets (or is it a 'pride' of poets?) into an intensely enjoyable 3 day event is a miracle, and - while I had my reservations about some of it as poetry - the standard of the performances and the material presented never fell below an acceptable standard. My eyes and ears were opened to the work of a number of poets, some of whom I'd heard of and some I hadn't. Now I'm trying to read the stack of books I brought back in some kind of disciplined order But there is no 'order': there is simply impulse followed by impulse. And I am also distracted by some work at this end: can't they see I'm busy reading poetry books??!! The kiwi may be a flightless bird, but her poets can certainly sing. Really bad connection where I'm staying in Brisbane, so will bring the blog up to date today or tomorrow from home. I'm packing my bags now and selecting a book to read on the plane ... 'Yellow Dog' by Martin Amis or 'Foe' by Coetzee? Or will I be too busy trying to manufacture a poem out of the shape of the clouds as they roll by? Perth Poetry Club on Saturday 28 August is a special MEGA-GIG as part of the WA [Spring] Poetry Festival, with four festival guests: interstate poets MEG MOONEY and CHRIS MANSELL, local talent ROLAND LEACH, and, especially transported from Kalgoorlie, CORAL CARTER, reading work by a selection of her favourite female poets. Plus we'll launch Perth Poetry Club's second zine, 'Positively Geared AntiTaxPax 2010', showcasing the diverse and fabulous words of just over a year of weekly open mike (and the weird creativity of some of our helpers). 2-4pm at The Moon, 323 William Street, Northbridge. Edwin Morgan was a continuing influence on me from his witty concrete poems, free-wheelin' early poems, Glasgow Sonnets, and on. A wonderfully inventive poet who kept evolving as all great poets should. A full and rich creative life right up until the end. A sad loss but so great to have had him on the planet for so long. 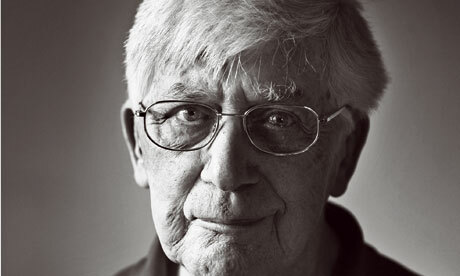 Edwin Morgan was a singular voice in a country with a literary tradition rich in singular voices. He managed to be both an outsider and an academically respected writer who rose to be one of the best of his time; a defender of the underdog and the individual who was nationally lauded when, in 2004, he was elected the first Scots Makar, the Scottish Parliament's equivalent of Poet Laureate. It was a position that formally recognised Morgan as the national treasure many had already long since viewed him as. 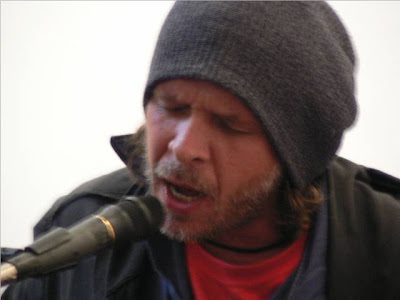 We've dragged him into town from the outer suburbs to perform for you... on a short break from tree planting, movie-starring, rocking, facebooking, web design, activism, parenting and teaching at some university or other... the one and only ANTIPOET! AKA allan boyd. at The Moon, 323 William St, Northbridge. There will be two bursts of boydtext, one in each half, so those who insist on rocking up halfway thru will miss half the action. 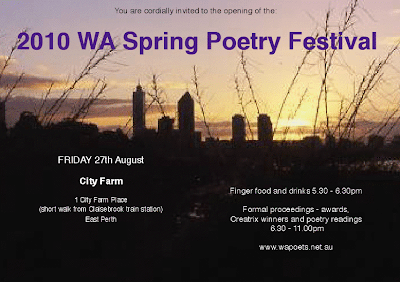 NEXT WEEKEND is the WA [Spring] Poetry Festival, so we're having a MEGA-GIG with Meg Mooney, Chris Mansell, Roland Leach and Coral Carter plus Perth Poetry Club's second zine launch. 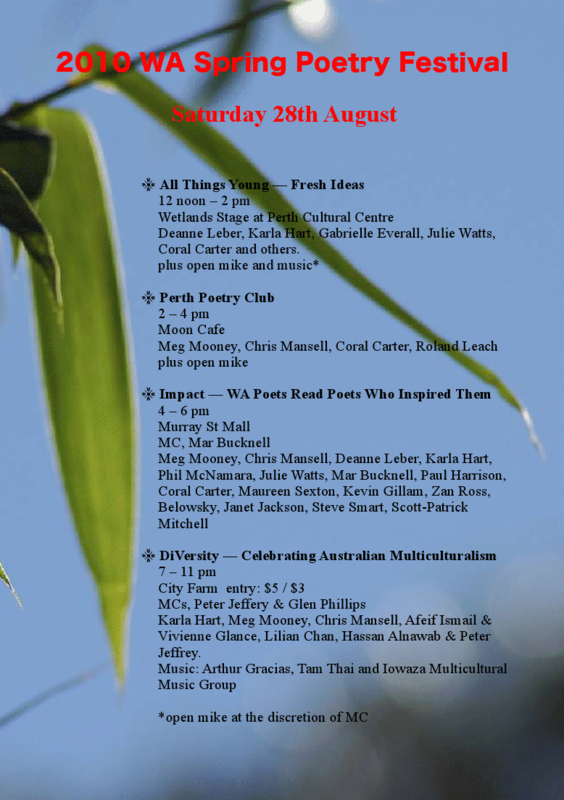 Queensland Poetry Festival: "- Sent using Google Toolbar"
I'm off to be a guest at this illustrious fest on 26 August, so if you're in Brisbane around then, say hello. Andrew Taylor and Jeremy Balius are also going from Perth, so I will have some familiar faces to hobnob with. For a full run down of guests, got to the website indicated and click on Artists. I'll be back in Perth to do a Poetry Workshop at the Perth City Library on 1st September - 10am if my memory serves me well. More information on 9461 3581. Gwyneth Lewis was the first National Poet of Wales (2005) and her words appear over the Wales Millennium Centre, opened in 2004. Educated at Ysgol Gyfun Rhydfelen, a bilingual school near Pontypridd, and at Oxford, Columbia and Harvard Universities, she has written oratorio as well as having written on clinical depression and Two in a Boat—The True Story of a Marital Rite of Passage, inspired by a sailing journey during which her husband was diagnosed with cancer. 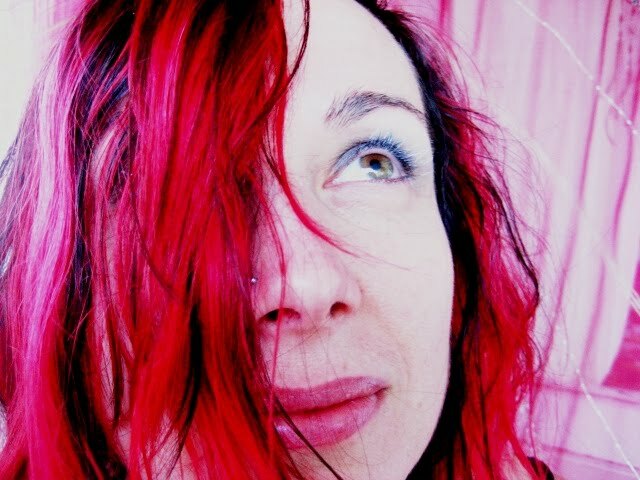 Her poetry collections in English include Parables and Faxes (1995), Chaotic Angels—Poems in English (2005) and A Hospital Odyssey (2010, all Bloodaxe). Maurice Riordan (b. Lisgoold, Co, Cork, 1953) is the author of three collections of poetry, A Word from the Loki (Faber, 1995, a PBS choice), the Whitbread shortlisted Floods (Faber, 2000) and The Holy Land (Faber, 2007) which received the Michael Hartnett Award. A Next Generation poet, he has been Poetry Editor of Poetry London and is currently Professor of Poetry at Sheffield Hallam University, has translated the work of Maltese poet Immanuel Mifsud (Confidential Reports, 2005), has edited and co-edited anthologies on science, space and ecology, and has edited a selection of Hart Crane’s poems for Faber’s Poet to Poet series (2008). General: Entry implies acceptance of all rules; failure to comply with rules will result in disqualification; competition open to poets of any nationality over 18 years; no competitor may win more than one prize; judges’ decision is final; no individual correspondence will be entered into. Poems: Poems must be in English, must each be no longer than 45 lines, must fit on one page of A4, must be the original work of the entrant and must not have been previously broadcast or published (in print or online); winning & commended poems may be published (in print or online) by Troubadour International Poetry Prize and may not be published elsewhere for one year after Friday 15th October 2010 without written permission. No limit on number of poems submitted. No alterations accepted after submission. Fees: All entries must be accompanied by fee of EITHER £5/€6/$8 per poem, if fewer than 4 poems, OR £4/€5/$7 per poem if 4 or more poems submitted; payment by cheque or money order (Sterling/Euro/US-Dollars only) payable to “Coffee-House Poetry” with poet’s name (and/or e-mail Entry Acknowledgement Reference, if appropriate) written on back. By Post: No entry form required; each poem must be typed on one side of A4 white paper showing title & poem only; do not show author’s name or any other identifying marks on submitted poems; include a separate page showing Name, Address, Phone, E-Mail (opt), Titles and Number of Poems EITHER @ £5/€6/$8 each OR @ £4/€5/$7 each; no staples; no Special Delivery, Recorded Delivery or Registered Post; entries are not returned. By E-mail: No entry form required; poems must be submitted in body of e-mail (no attachments) to CoffPoetry@aol.com; entries should be preceded by Name, Address, Phone, Titles and Number of Poems EITHER @ £5/€6/$8 each OR @ £4/€5/$7 each; acknowledgement will be sent to entrant’s e-mail address showing Entry Acknowledgment Reference; send payment by post within 14 days quoting Entry Acknowledgement Reference; e-mail entries will be included only when payment received by post; no Special Delivery, Recorded Delivery or Registered Post. Acknowledgement/Results: will be sent to all e-mail entrants after entry deadline and winners announcement respectively; no correspondence; postal entrants should include stamped, addressed postcard marked “Acknowledgement” and/or stamped, addressed A5 envelope marked “Results” if required. Deadline: All postal entries, and postal payments for e-mail entries, to arrive at Troubadour Poetry Prize, Coffee-House Poetry, PO Box 16210, LONDON, W4 1ZP postmarked on or before Friday 15th October 2010. Prizewinners will be notified individually by Monday 22nd November 2010. Prizegiving will be on Monday 29th November 2010 at Coffee-House Poetry at the Troubadour in Earls Court, London. Sunday's National Science Week event has changed from Cable Beach to the Broome Courthouse Markets. There will also be fun activities for the kids. Join us for a weekend of whale watching and surveying, camping at beautiful Pender Bay. Book now. Places are strictly limited. $50pp. For bookings and more information call Environs Kimberley 91921922. Long poems grapple with narrative but aren't prose. Just one quote from an interesting article at http://www.poets.org/viewmedia.php/prmMID/21750 I find I have the desire to write a long poem, but rarely write more than a page. Connecting them all up and calling it one poem always seems like a false format to me. ATTENTION WRITERS OF BUSH VERSE! The 2011 Blackened Billy Verse Competition will be opening on September 1. 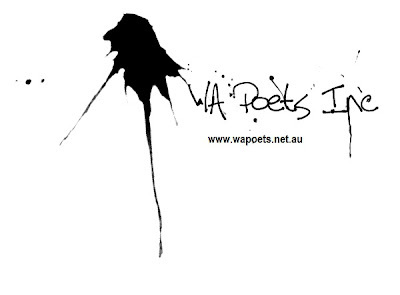 This is regarded as one of the most prestigious BUSH POETRY competitions in Australia. First prize is $500 plus the famous BLACKENED BILLY TROPHY. Second prize is $250 and third $150. Bush poetry is a traditional type of verse written with rhyme and rhythm that reflects the Australian way of life. The genre has widened in recent years to encompass modern living in both the city and the bush. 2010 winner, Ellis Campbell, wrote on a subject which was very close to our hearts last year in a moving poem called ³The Arsonist². Tamworth Poetry Reading Group welcomes entries from new and old writers. Entry forms will be available on September 1. Country Music Festival in January 2011. Labels: Blackened Billy Bush Poetry Comp. The annual general meeting of WA Poets Inc. will be held from 6 till 7 pm on Sunday 5th September 2010 at City Farm, 1 City Farm Place, East Perth (next to Claisebrook train station). All committee positions will be vacant and open to election. Gary de Piazzi has indicated he would like to vacate the position of Treasurer. The accounts are set up in MYOB software, so it would be highly desirable if anyone wanting to take up the position had appropriate software knowledge. Mar Bucknell is willing to continue as Secretary but would prefer to continue as an ordinary committee member if there is someone who would like to be Secretary. The positions of Chair (or co-Chair), Treasurer and Secretary are open. We are also seeking an unlimited number of committee members, including delegates from other existing poets’ groups. Our aims at this stage are to promote poetry in Western Australia, publish online poetry and to hold an annual festival. All welcome. Light refreshments will be served. If you know anyone who might be interested in participating who isn’t currently a WAPI member, please pass this on to them. Eavan Boland - 1944 and on ... Irish poet of today. "Over the course of her long career, Eavan Boland has emerged as one of the foremost female voices in Irish literature. Throughout her many collections of poetry, in her prose memoir Object Lessons (1995), and in her work as a noted anthologist and teacher, Boland has honed an appreciation for the ordinary in life. The poet and critic Ruth Padel described Boland’s “commitment to lyric grace and feminism” even as her subjects tend to “the fabric of domestic life, myth, love, history, and Irish rural landscape.” Keenly aware of the problematic associations and troubled place that women hold in Irish culture and history, Boland has always written out of an urge to make an honest account of female experience." 2010 St Kilda Word Prize - but Hurry! There's a lot happening at St Kilda in competitions and opportunities - for buskers, photographers and writers. Closes 13th August 2010 - so get a move on! Each year KSPWC is proud to promote the craft of writing by hosting a number of writers in our residency program which is funded by the Department of Culture and the Arts. The residency program includes positions for established and emerging writers as well as our young writers residency. As well as allowing each writer the time and space to work on their own writing projects, the writers participate in the events of the centre and run workshops thus sharing their knowledge and experience throughout our writing community. Three positions are available - dependent on funding – for a full-time period of four weeks. Each resident will receive a salary of 2,250 and be given writing space and time to concentrate on, develop or complete a work in progress. Preference for one position will be given to a WA rural/regional or culturally and linguistically diverse writer. Emerging does not mean beginner. The Selection Committee will be looking for talented writers able to show application to the craft of writing. It is expected that selected writers will have some published material, in the print, visual or broadcast media. Ideally, applicants should be working towards achieving their first major full-length publication. Alec Choate [Australian poet] died peacefully on Tuesday morning, 2nd August, at the age of 95. Alec Choate was born in England in 1915 but migrated to Australia in 1922. He published seven collections of poetry, including A Marking of Fire (1986), Schoolgirls at Borobudur (1990), Mind in Need of a Desert (1995) and The Wheels of Hama (1997), and was poetry editor for Summerland: A Western Australian Sesquicentenary Anthology of Poetry and Prose (1979). He won the inaugural Tom Collins Poetry Prize, the Patricia Hackett Prize, the 1986 Western Australia Literary Award (for A Marking of Fire) and the 1997 Premier's Book Award for Poetry for his collected war poems, The Wheels of Hama, as well as other awards. Alec's war experiences made him deeply aware of "some curse/of hurt on humankind" and determined to celebrate the "meltingly beautiful" in people and place. "History", he wrote, "is a succession of cages" but his poetry is largely celebratory: "the voice of science itself/cannot help but come to me singing", "a fragment of glass/... is sea-beryl/and bites the sun's edge/like a waking eye" but "lies/in the crucible/of your hands as gold". Writing of a "Botticelli Quilt" Alec Choate commented on "the wistful calm he gave all he touched" and the comment could readily be applied to Alec's own work. He was a lovely man, in poetry and in life. 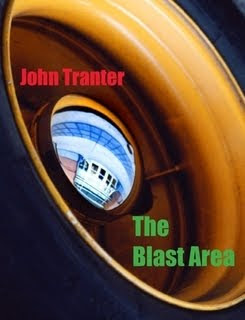 John Tranter's “The Blast Area” (originally published as a pamphlet in 1974, and no longer in print) consists of poems that are varied and strange, often veering away from common sense into a quirky surrealism. The final third of the book consists of 'The Poem in Love', a sequence of fifteen pseudo-sonnets (set up by an epigraph from the possibly fictitious Paul Ducasse) which critic Andrew Johnson noted, 'might stand for the variety of strategies we employ to make sense of the world, and for the fleeting, unstable patterns we think we perceive in our experience. It's as if having reached an extreme of cynicism about "meaning", Tranter lets it in through the back door, and a new-found humour with it'.